CNC Machining Tips: Why should you go for Flat Bottom CNC Tools? Home » Blog » CNC Machining Tips: Why should you go for Flat Bottom Tools? CNC Machining Tips: Why should you go for Flat Bottom Tools? Proper tooling is the most important part of every machining process. We need to have specific functioning milling tools if we want to develop milling parts. Same goes for all other operations. Think of it as cooking; one cannot choose potatoes as the main ingredient when making apple pie. Yep, this analogy is not far from the reality. So we have different tools for different operations in a CNC machining shop. We might reuse some particularly reusable tools, replace the old types with advanced ones, but that’s about it. True, we focus on quality and durability, something that’ll extend its working capability (and less wear and tear). But, did you ever give a thought to tool shape? If you didn’t, we’ll tell you why you should pay attention to your tool shapes. Let’s get to the BOTTOM of the CNC machine tools world! As CNC’rs, we’re all aware that machining is not cheap. Add in tool maintenance and replacement costs, and it’s going to cost us more than ever. While we cannot cut on labor and operational costs, we can definitely save some using the flat bottom tools. Now, how do they make that possible? For one, they eliminate the extra run-time by fitting exactly where they are required. 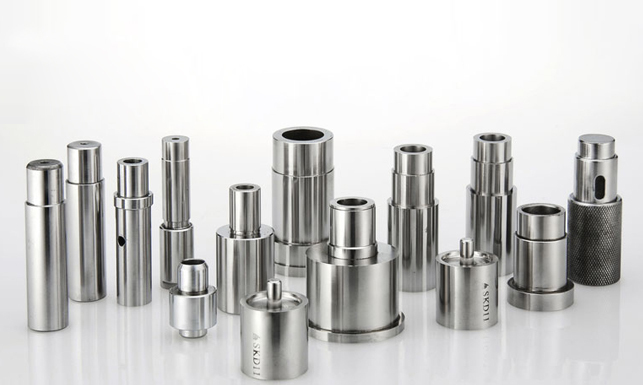 Due to their shape, they are often sturdier when compared to traditional machining tools. Carbide fit flat bottom tools beat every other tool in terms of durability. Imagine the amount of money you’ll save! There is a list of drilling operations where these flat bottom tools play the role of a hero. Take thin plate drilling for example. When performing this operation, regular tools often face irregularities due to pushing materials through the exit hole. This derails us from achieving the desired perfection in the drilled holes. Flat bottom drills are extremely beneficial here as due to their general geometry they even downward forces. Hence, more clean surfaces. Unlike traditional tools, using flat bottom drilling tools helps us avoid unexpected (and undesired) burrs on the other side of the material. Make way for straighter and regular holes. Flat bottom drills are perfect for irregular surfaces due to their geometry, especially if it’s required to perform angular or tilted operations. When countering with a half hole drilling, flat bottom drilling is proven to extremely beneficial. This is because due to the lack of material on both sides of the drill, any other machining tool may walk to the side of the material, creating an extremely undesirable situation. A flat bottom drill works closely on the entire cutting geometry, making it perfect for drilling half holes even on the edge of the material. Working with flat bottom CNC tools definitely, make our lives (and machining process) easier. It’s easy to keep, light on pockets and DURABLE. Now, ain’t this what all of us need in our CNC machine shop? Got questions? Want to go deep into the wonderful world of machining? Just drop us a line, and one of us will get back to you soon! Looking to Hire a CNC Machine Shop? Consider these points.